The margins around the pools at Cranwich had really filled out. Meadows of vibrant green, pale yellow and yellowish-brown grasses, their heads drooping with the weight of seeds, rippled in the breeze. The bright white petals and brilliant yellow heads of ox eye daisies added a splash of colour. Carpets of tiny yellow flowers hugged the ground beneath. From amongst the grasses, flowers and brush, squadrons of bright blue damselflies took to the air, zipping from perch to perch. In the nettles and shoulder high, deep green grasses of the banks, the beautiful deep blue and green of banded demoiselles gleamed in the late afternoon sunshine. Around the edge of the pools, fresh green reeds rustled, bending over in the stiff breeze that created miniature waves across the waters surface. 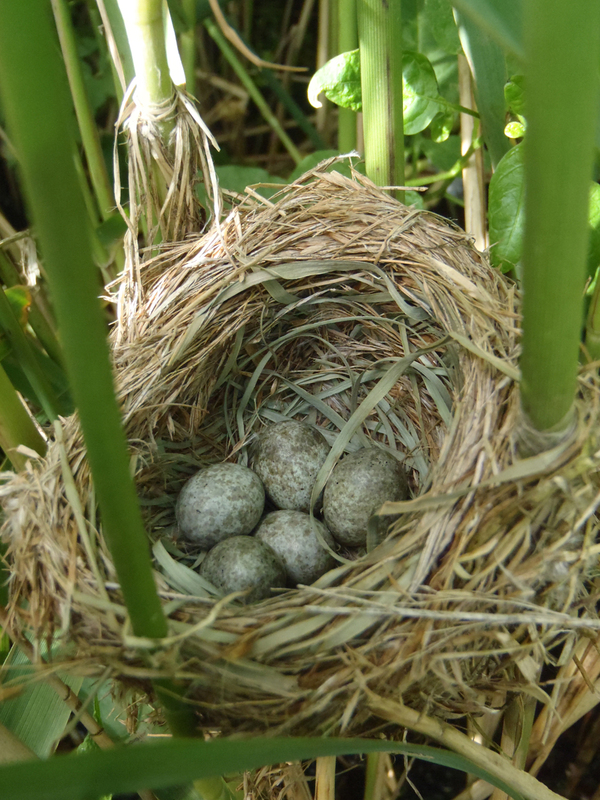 It is amongst these reeds, woven around stems of old and new that reed warbler nests are to be found. 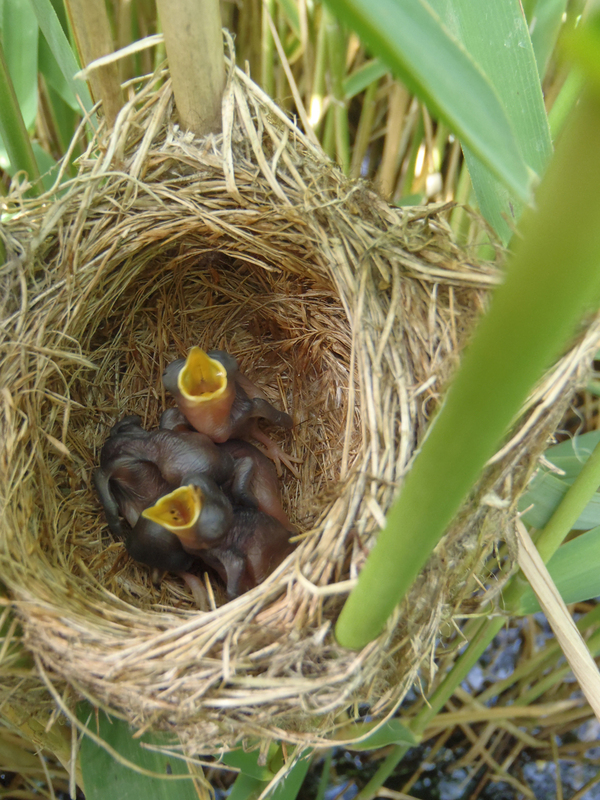 As part of the reed warbler study at this site, the team, led by Dr Dave Leech, has been methodically searching through the reeds, recording each nest found. 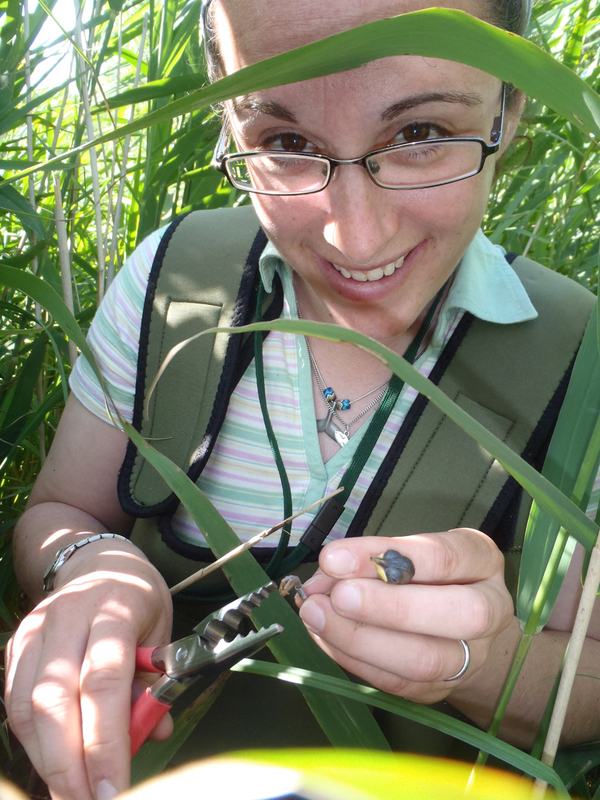 The aim is to record the number of eggs and chicks, to ring the chicks and to record the outcome i.e. whether it fails, is predated or is successful. 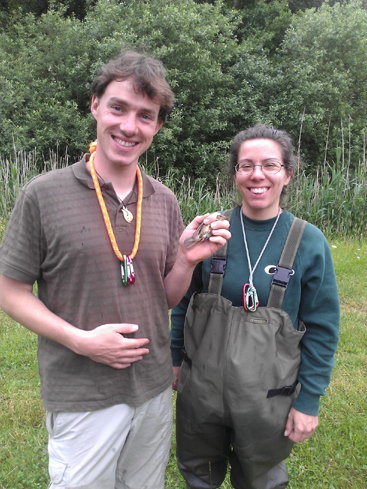 Topping of all the hard work that has been put into the Cranwich reed warbler project over the last few years, and adding incentive for the future effort, was the capture of the sites first foreign ringed adult reed warbler. In the cool of yet another early morning, reed warbler with the ring number Z61916 was pulled out of the net. Having spent the winter in Africa and during its northward migration this bird was caught and ringed in the San Sebastian area of Spain. The job now is to work out if one of the numerous nests found at the site belongs to this bird, now there is a challenge!